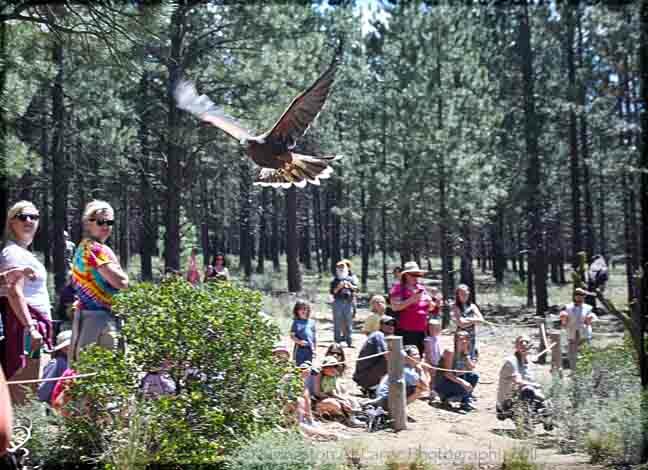 Located just a few miles south of Bend, Oregon, The High Desert Museum, opened in 1982. 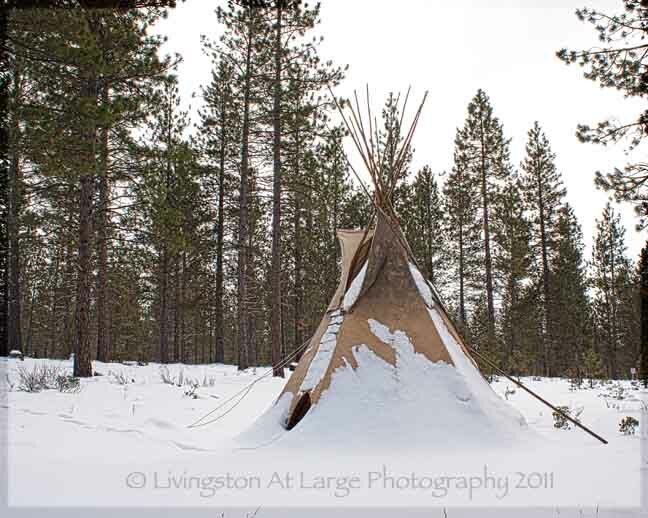 It serves as an educational and conservational location for all of central Oregon. It is also one of the favorite spots for local photographers, especially in the winter when our landscape shots are more challenging. 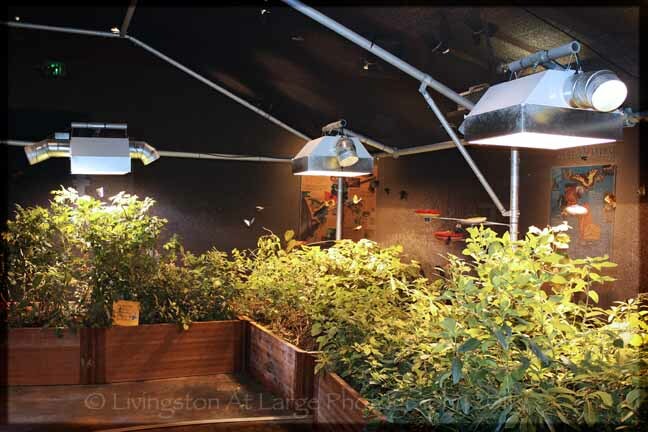 Some winters The Museum is host to a live butterfly and hummingbird exhibit. That always causes me to purchase a season pass so I can come and go all year. It is worth it. 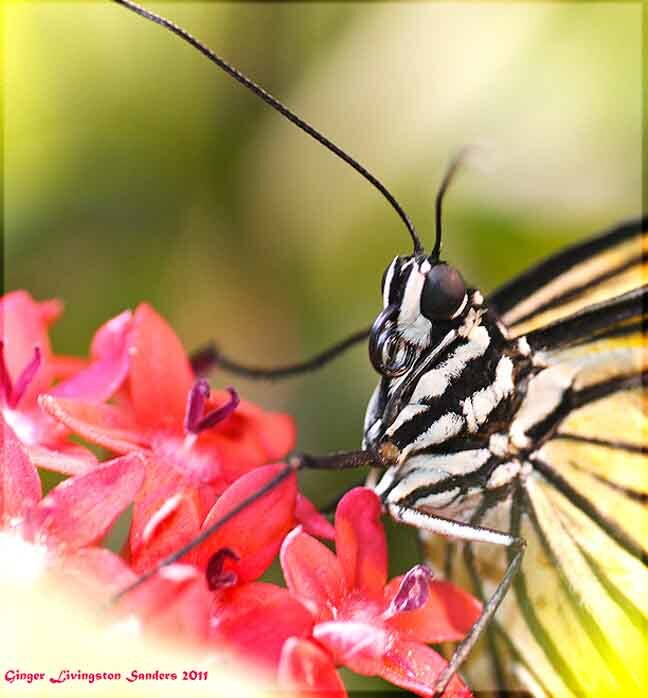 The butterflies enchant me completely. In the summer there is an outdoor bird show that gives you an in-your-face, literally, chance to photograph birds of prey. This is an Augur Hawk that actually brushed my face with its wing! 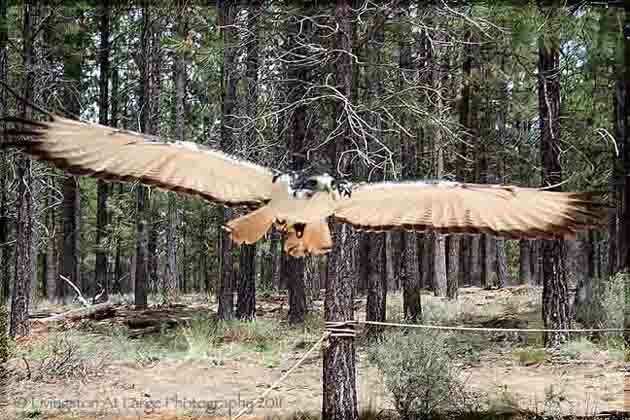 I have seen Augur Hawks, Barn Owls, Peregrine Falcons, Turkey Vultures and other great birds in this show. As you can see the birds fly right over and into the crowd. If you want to hone your bird photography skills, buy a season pass and go everyday, like I did. 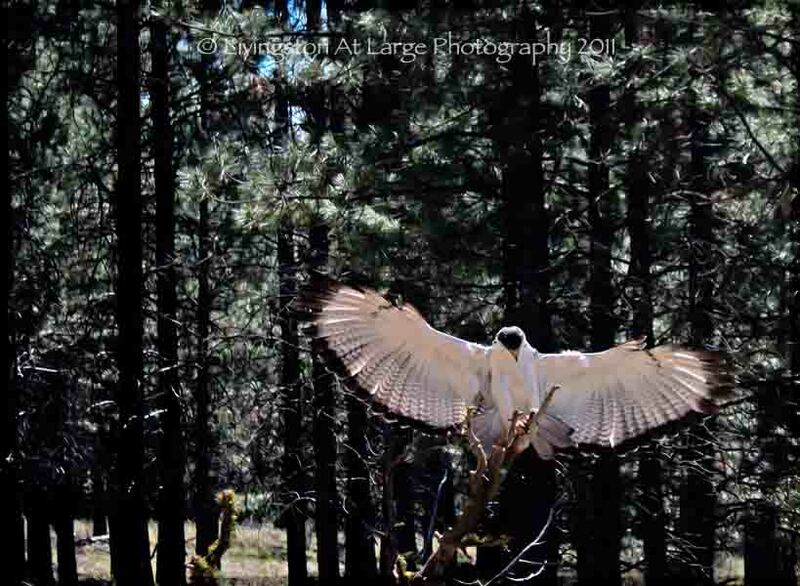 I practiced settings and learned a vast amount about photographing birds in flight. There are also two bird shows every day at the Donald M. Kerr Birds of Prey Center. A short walk from the entrance. Sometimes, they are out in the lobby at the entrance. All the animals used in exhibits and shows cannot be returned to the wild for health reasons. There is an extensive rehab center at the museum for animals that can be returned to the wild as well, but they are not introduced to the public. After each show the curators hang around with the birds and let you get up close for photographs. The birds are very use to photographers and are quite accommodating! 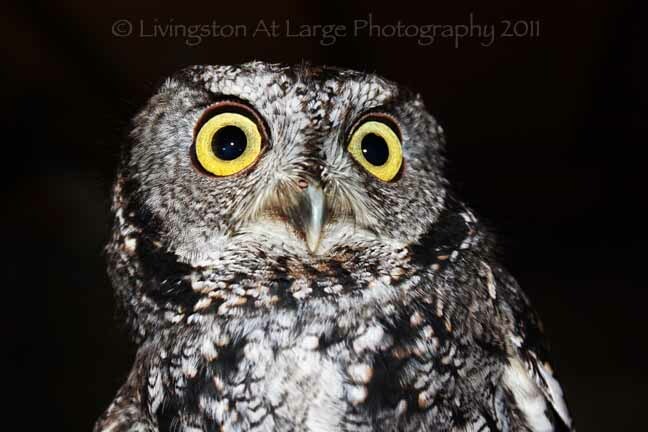 Here is William, he is a Western Screech Owl who was possibly hit by a car. He is a tiny little thing and quite the character. There are many wildlife shows. The curators are very generous with photographers and make sure there are ample opportunities at each show for some up close photography. 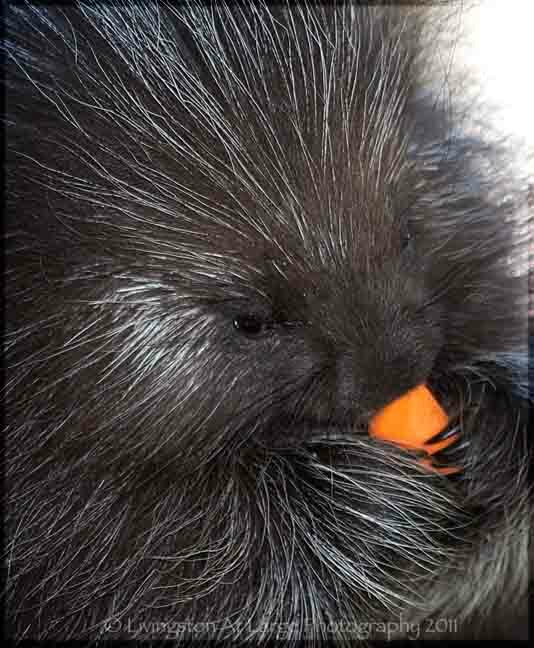 Here is the new baby porcupine, Thistle. We bid a sad farewell to Snowshoe. At approx. 20 yrs old, our beloved Snowshoe moved on to snowy hunting grounds Monday November 10, 2014. We will miss you big furry guy. One of my favorites at the museum is Snowshoe. 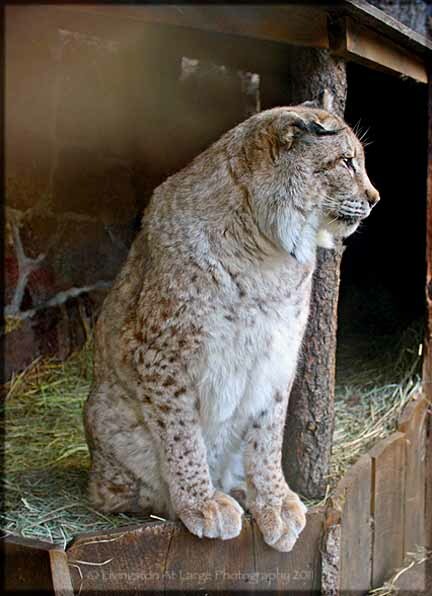 He is a Canadian Lynx cross that was someone’s pet. He was declawed, neutered and the like. Then, when he got too big he was tossed out into the forest to try and survive in the wild. A hiker found him in such a bad state he could barely move. The museum was called and he was rehabbed there. He cannot fend for himself in the wild and now makes his permanent home at The High Desert Museum. He is quite the poser. The exhibits at The High Desert Museum are constantly changing. I am fond of the still life settings. 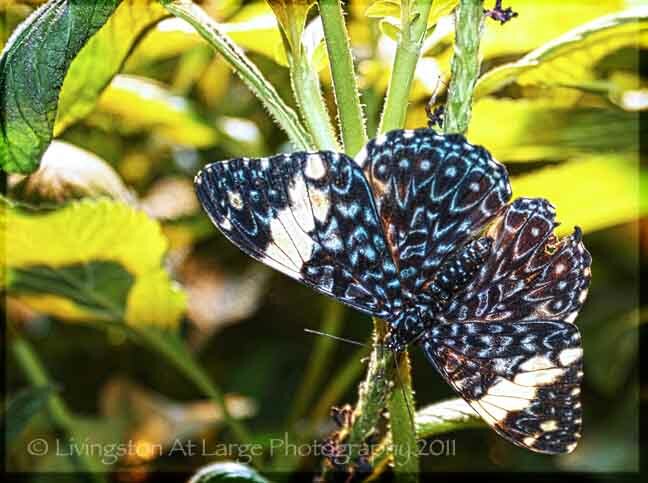 There are no problems with bringing a tripod (except in the butterfly exhibit!) as long as you watch out for it and are respectful. Summer: 9:00 a.m. to 5:00 p.m. daily, May 1 through October 31. Winter: 10:00 a.m. to 4:00 p.m. daily, November 1 through April 30. 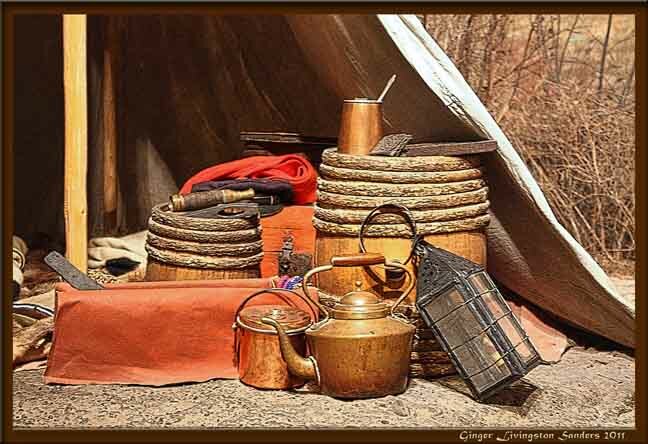 Fees adjust seasonally so please check the High Desert Museum website. If you are traveling with pets, In the summer you can, for a small fee, rent a large dog kennel and put your dog or cat outside in a designated area in the shade.